Michael Ducy works as an enterprise architect for Opscode, focused on designing and implementing automation solutions for customers' cloud, IT automation, and continuous delivery needs. 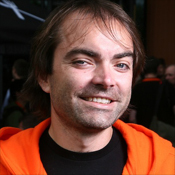 Before Opscode, Ducy worked at CompuCom, helping with the architecture and design of the vendor's cloud portfolio. He has served other roles as a cloud architect, performance and capacity planner, Linux systems engineer, instructor and private consultant. Tap the curious, hungry individuals inside your company to change the culture between software developers and other IT pros.